Hiding inside rocky crevices 1,800 feet below the Pacific Ocean, rockfish stubbornly persist well past 100 years, far surpassing their peers. Giant 10-foot-long tube worms sway in the dark depths of the Gulf of Mexico for up to 250 years. Blanding’s turtles can slosh through Midwestern U.S. wetlands for at least 70 years, and certain giant tortoises push 300. Defying even greater odds, some bristlecone pines high in the California and Nevada mountains have lived almost 5,000 years! 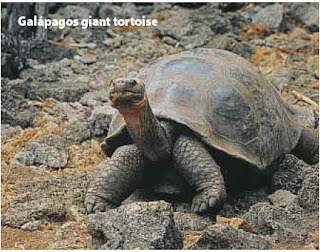 How do these remarkable creatures do it? Scientists are trying to find out, hoping to learn more about how nature’s organisms age and thus how we might lengthen human life. “The natural world offers hundreds of lessons in longevity,” says University of Southern California gerontologist Caleb E. Finch. One lesson: find an environment free of predators. 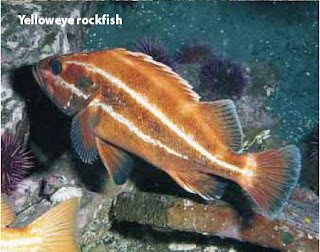 Researchers have identified yelloweye and rougheye rockfish as old as 118 and 149 years, respectively, at great ocean depths. They endure partly because many of their predators prefer shallower waters, says Allen H. Andrews, a research associate at California State University. Blanding’s turtles may outlive soft-shelled varieties because their rough, hard exterior deflects the bite of hungry critters, explains ecologist Justin D. Congdon of the Savannah River Ecology Laboratory in Aiken, S.C. 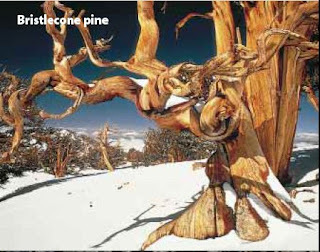 The record-breaking bristlecone pines have also found a safe haven; they prevail at around 11,500 feet above sea level, too high for the comfort of many insects or competing trees. One pine at Nevada’s Wheeler Peak was estimated to be 4,900 years old, based on its annual growth rings, before it was cut down in 1964. Amazingly, Finch says, the trees seem to reproduce just as well in their 4,000th year as in earlier days. For a long time, scientists didn’t bother to study the longevity of animals and plants. They assumed that most creatures would die before their time because of predators, competition, natural disasters, insects or disease. But that idea is changing. To measure more precisely the effect of environment on aging and longevity, University of Idaho biologist Steven N. Austad turned to an animal that normally lives fast, breeds madly and dies young: the opossum. Austad reasoned that opossums living without the evolutionary pressure of many predators—such as owls, coyotes and wolves—would age and breed more slowly, ultimately living longer. About a decade ago he found that very situation on Sapelo Island, a scrap of land off the Georgia coast. There opossums live up to 50 percent longer than on the mainland—and actually age more slowly along the way, according to Austad’s measurements of their tissues over time. Austad is now looking for similar longevity in island mice, considerably easier creatures to study in the lab. wow thats nice blog. good work keep it up.